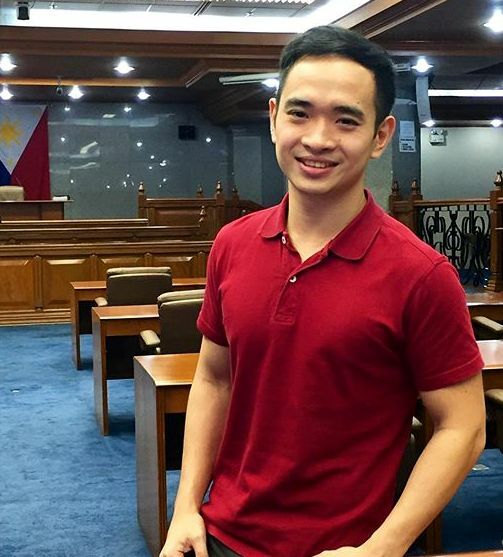 ABS-CBN News reporter Ryan Chua is leaving the network to join an international news channel in Beijing. Chua himself made the announcement on his Facebook account Friday, writing that "after seven years in my first job, I am embarking on a new adventure." "Working at ABS-CBN News was a dream come true," he wrote. "As an aspiring journalist many years ago, I had never wanted to work anywhere else. Resigning, then, was one of hardest decisions I have ever made." Chua first joined ABS-CBN News in 2008 as a news writer and production assistant for ANC. He immediately ascended to the reporter ranks that same year, while continuing his work behind the scenes as a news writer and producer. Some of the stories he has covered for the network these past years include the pro-democracy protests in Hong Kong in 2014, the impeachment of CJ Corona in 2012, the 2010 presidential election, and the aftermath of typhoon Ondoy in 2009. Today is my last day as an ABS-CBN reporter. Working at ABS-CBN News was a dream come true. As an aspiring journalist many years ago, I had never wanted to work anywhere else. Resigning, then, was one of hardest decisions I have ever made. ABS-CBN gave me not only the chance to live my passion for telling stories, but also the platforms to let my stories reach a big audience and make an impact. I feel honoured to have covered two elections, major Senate investigations, the passage of landmark laws, an impeachment trial, and international stories for ABS-CBN. I also feel privileged to have worked with some of the industry's best, in a newsroom that values merit above all else. Having journalists I respect and look up to as colleagues inspired me to constantly improve my skills. Many of my ABS-CBN colleagues have become my closest friends, people I will miss terribly. I was a new graduate when ABS-CBN hired me in 2008, young, inexperienced, unsure if I would make it in this industry. But because the company believed in me and gave me countless opportunities to grow, I became competent, confident, and always hungry to make something of myself. Leaving ABS-CBN is difficult, but I realised now is the time to take risks, to do things I have never done before, and to expand my horizons. I look forward to my first foray into international news in a city with an increasing importance in global affairs: Beijing. Thank you for seven beautiful years, ABS-CBN. Now for the last time, let me say: Ryan Chua, ABS-CBN News.